The interior of a basement wall can be insulated with rigid foam or closed-cell spray foam. Here at GBA, we regularly receive questions from readers about the best way to insulate a basement wall. Since these questions pop up frequently, it’s time to pull together as much information as possible on this topic. In this article, I’ll try to explain everything you always wanted to know about insulating basement walls. Is it worth insulating a basement wall? What do building codes require? Marine Zone 4 and Climate Zones 5, 6, 7, and 8: R-15. Should I insulate the wall on the inside or the outside? I used to believe that the best location for basement wall insulation was on the exterior. In recent years, however, I’ve decided that interior basement insulation makes a lot of sense. However, there are valid reasons for both approaches, and either way can work fine. So if you prefer one approach, don’t hesitate to use it. Exterior insulation protects the dampproofing or waterproofing layer from damage during backfilling. Insulating on the exterior allows a builder to install an uninterrupted layer of rigid foam from the foundation footing to the rafters. While this approach isn’t required— you don’t have to insulate above-grade walls with exterior foam if you don’t want to — many builders like it. Exterior insulation provides more interior space in your basement than interior insulation. It’s easier to insulate and air-seal the rim joist area with exterior insulation than with interior insulation. If you insulate on the exterior, you avoid the expense of interior studs and drywall. Exterior insulation leaves the interior of the concrete wall exposed (assuming the basement is unfinished) so that the concrete can be inspected at any time for cracks. The insulation work integrates more smoothly with the construction schedule, since it happens after the building is dried in rather than when the excavation contractor is eager to backfill the foundation. If you insulate on the interior, you avoid the hassle of figuring out how to protect the above-grade portion of the exterior basement insulation. Briefly, how are basement walls insulated on the exterior? After the basement wall has been protected with a dampproofing or a waterproofing system, insulation is installed from the top of the footing to somewhere near the top of the rim joist. Acceptable insulation materials include extruded polystyrene (XPS), expanded polystyrene (EPS), closed-cell spray polyurethane foam, or mineral wool. Polyisocyanurate insulation should not be used because it can absorb water. Below-grade insulation does not need to be attached to the concrete; it is held in place by the backfill. The best backfill material is a fast-draining granular material like gravel or crushed stone with a thin cap of soil or clay. Above-grade insulation may or may not need to be attached to the concrete — fastening methods include foam-compatible adhesive, TapCons with washers, and specialty fasteners like Hilti IDP fasteners or Rodenhouse Plasti-Grip PMF fasteners— depending on the height of the exposed foam and the method used to protect it. Some builders cantilever their 2×6 perimeter walls so that the basement insulation isn’t proud of the siding. If the basement insulation ends up proud of the siding, you’ll have to protect the top of the basement insulation with metal flashing. The top of the flashing needs to include a vertical leg that extends upward and is lapped by the housewrap; the flashing should be sloped, and the bottom of the flashing needs to terminate in a drip leg that extends beyond the insulation and the insulation protection materials. If I insulate on the outside, how should I protect the above-grade foam? ProGuard Cement Faced Insulated Sheathing. Boral TruExterior brand composite siding and trim products, which are rated by the manufacturer for ground contact. For more information on this topic, see How to Finish Exterior Foundation Insulation. Briefly, how are basement walls insulated on the interior? The best way to insulate a basement wall on the interior is with foam insulation that is adhered or attached directly to the concrete. Any of the following insulation materials are acceptable for this purpose: closed-cell spray polyurethane foam, XPS, EPS, or polyisocyanurate. To prevent interior air from reaching the cold concrete, make sure to seal the perimeter of each piece of rigid foam with adhesive, caulk, a high-quality European tape, or canned spray foam. If you plan to insulate your basement walls with spray foam, the best approach is to frame your 2×4 walls before the foam is sprayed, leaving a gap of 1 to 2 inches between the back of the studs and the concrete wall. The gap will later be filled with spray foam. For information on insulating rim joists, see Insulating Rim Joists. If you live in an area where termites are a problem, your local building code may require that you leave a 3-inch-high “inspection strip” of bare concrete near the top of your basement wall. To find out what details are required in your area, talk to your local building official. What if the basement has an interior French drain? Some basements have an interior French drain at the base of the basement walls. This type of French drain may be installed on just one or two walls, or it may be installed around the entire perimeter of the basement. Usually, the French drain (a shallow trench) includes perforated drain pipe that leads to a sump; the drain pipe is usually surrounded by crushed stone. Can I insulate on the interior with fiberglass batts, mineral wool batts, or cellulose? No. Fiberglass batts, mineral wool batts, and cellulose are air-permeable. When this type of insulation is installed in contact with concrete, the moisture in the interior air condenses against the cold concrete surface, leading to mold and rot. That’s why I advise builders that fiberglass batts, mineral wool insulation, and cellulose should never be installed against a basement wall. The risk of moisture problems is reduced if the concrete is first covered with a continuous layer of rigid foam or closed-cell spray foam. If that is done, some builders then install a 2×4 wall on the interior side of the foam insulation and fill the stud bays with fiberglass batts. This approach is less risky than installing fiberglass directly against the concrete. However, I don’t think that fiberglass batts belong in a basement. My advice: if you want a higher R-value, just install thicker rigid foam, and leave the stud bays empty. If you decide to combine rigid foam installed on the interior side of the basement wall with fluffy insulation between 2×4 studs installed on the interior side of the rigid foam, you may be wondering, “How thick should the rigid foam be to keep the wall free of moisture problems?” A conservative approach for below-grade walls is to follow the guidelines for above-grade walls detailed in this article: Calculating the Minimum Thickness of Rigid Foam Sheathing. Does interior basement insulation need to be vapor-permeable? No. The idea that a damp concrete wall should be able to dry towards the interior — in other words, that any insulation on the interior of a basement wall should be vapor-permeable — is mistaken. In fact, you don’t want to encourage any moisture to enter your home. Your concrete wall can stay damp for a century; that dampness won’t hurt the concrete. For more information on this topic, see Joe Lstiburek Discusses Basement Insulation and Vapor Retarders. Should I include a polyethylene vapor barrier? No. Basement wall systems should never include any polyethylene. You don’t want poly between the concrete and the insulation; nor do you want poly between gypsum drywall and the insulation. You don’t want poly anywhere. What about ICFs or the ThermoMass system? If you build a new basement with insulated concrete forms (ICFs) or the ThermoMass system, your wall already includes insulation, so you don’t need to add any more. Both approaches work. The main disadvantage of these systems is their high cost compared to conventional poured concrete walls. ICFs have a core of concrete sandwiched between two layers of rigid foam. ThermoMass walls have a core of rigid foam sandwiched between two layers of concrete. It seems to me that the ThermoMass sandwich makes much more sense than the ICF sandwich: since foam is more fragile than concrete, it makes more sense to protect the fragile layer with concrete than to put the fragile material on the outside of the sandwich. If you decide to use either ICFs or the ThermoMass system, pay close attention to the wall’s R-value. Many ICF and ThermoMass walls have relatively low R-values. If you’re going to buy such an expensive wall system, be sure to specify thick foam. What do I need to know if I am installing insulation on an existing house? If you want to insulate an existing basement, you’ll probably be working from the interior. Before installing a layer of foam insulation on an existing wall, the first step is to verify that the basement wall doesn’t have a water-entry problem. Diagnosing and fixing water-entry problems in existing basements is a big topic in its own right, and is beyond the scope of this article. Suffice it to say that if your basement walls get wet every spring or every time you get a heavy rain, the walls should not be insulated until the water-entry problem is solved. Installing a layer of dimple mat against the basement walls before insulating. For more information on these issues, see Fixing a Wet Basement. If your basement has stone-and-mortar walls, you can’t insulate the walls with rigid foam. The only type of insulation that makes sense for stone-and-mortar walls is closed-cell spray polyurethane foam. If your basement has poured concrete or concrete-block walls, you can proceed with the same methods used for new construction — as long as you’re sure that the walls don’t have a water-entry problem. Crawl space walls should be insulated with the same methods used for basement walls. For more information on insulating a sealed crawl space, see Building an Unvented Crawl Space. 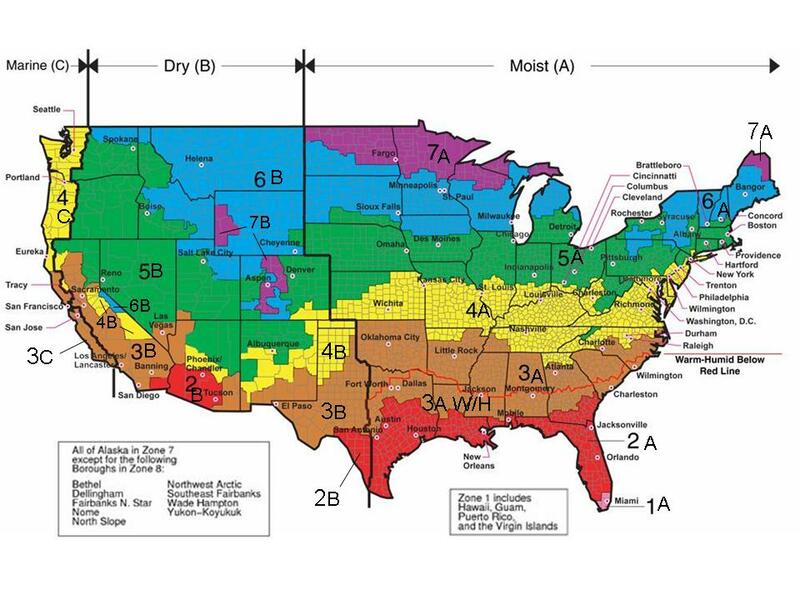 Remember: if you live in Climate Zone 3 or anywhere colder, installing basement wall insulation is almost always cost-effective. Performing this work will lower your energy bills, and will also provide an important side benefit: insulated walls are less susceptible to condensation and mold. That means that insulated basements stay dryer and smell better than uninsulated basements.